Prominent High street shop investment for sale, close to Waitrose Supermarket, adjoining Specsavers and opposite a branch of Santandar Bank. Upper parts sold on long lease. 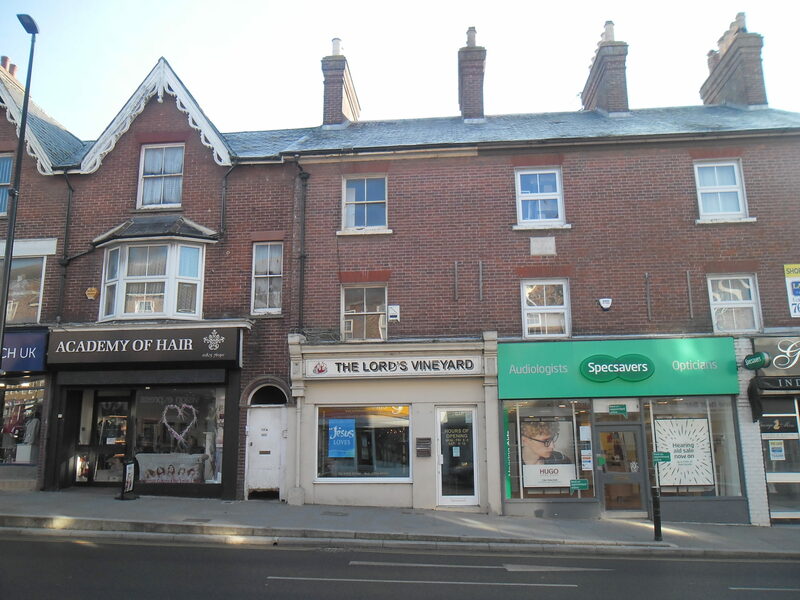 Freehold for sale subject to long leasehold interest in upper parts and commercial shop letting. 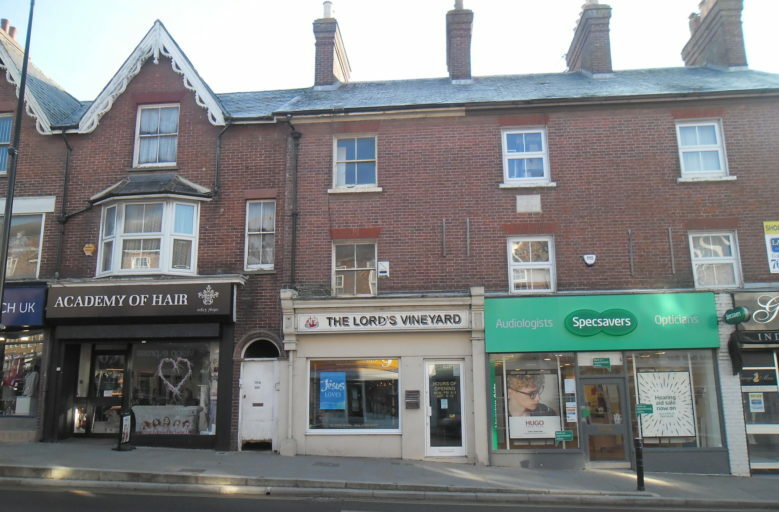 Shop overall 64 sq m (686 sq ft) let to The Lords Vineyard, a charity, for a term of 10 years from 2010 at a rent of £12,000pa subject to rent review in 2015 which was not increased. Flat sold on long lease for a term of 125 years from 2001 with ground rent payable of £50pa currently, subject to fixed increases. Offered for sale freehold subject to both residential & commercial letting.